WE ARE COST REDUCTION PROFESSIONALS WITH A UNIQUE FULL-SERVICE APPROACH TO YOUR NON-ACUTE SUPPLY CHAIN NEEDS. TRUSTED EXPERTS. YEARS OF EXPERIENCE. Of combined experience in health care management. At MedCost our mission is to reduce your practice expense without compromising quality. MedCost provides a service – we are consultants and procurement specialists. We are advocates for physician offices and we are dedicated to our mission to save you time and money. The most comprehensive procurement program requires the marriage of state of the art technology with outstanding customer service. MedCost delivers both! MedCost service pays for itself. It’s that simple. There is no risk. Lisa Woodward has over 30 years of experience in the non-acute health care market. She has held several positions within physician offices and surgery centers, including Office, Facilities and Purchasing management. 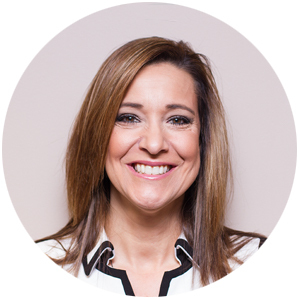 Lisa has served as an advisor on committees for both local and national Group Purchasing Organizations. As co-founder of MedCost, she has served as President and COO with a primary focus on contract negotiations and client relations. Are you ready to take control of your supply chain? Stop struggling with your supply chain and let MedCost be your procurement solution.